This version of Komplete ultimate is a multiseat 5 user licence for use by Schools and Educational establishments Only. Native Instruments Komplete is an industry leading suite of music production tools and massively editable instruments for lush sounding soundscapes, epic theme tunes, fat beat drops and everything in between. Whatever style you're into, Komplete gives you a vast palette to create the music you want with gorgeous looks and intuitive controls. 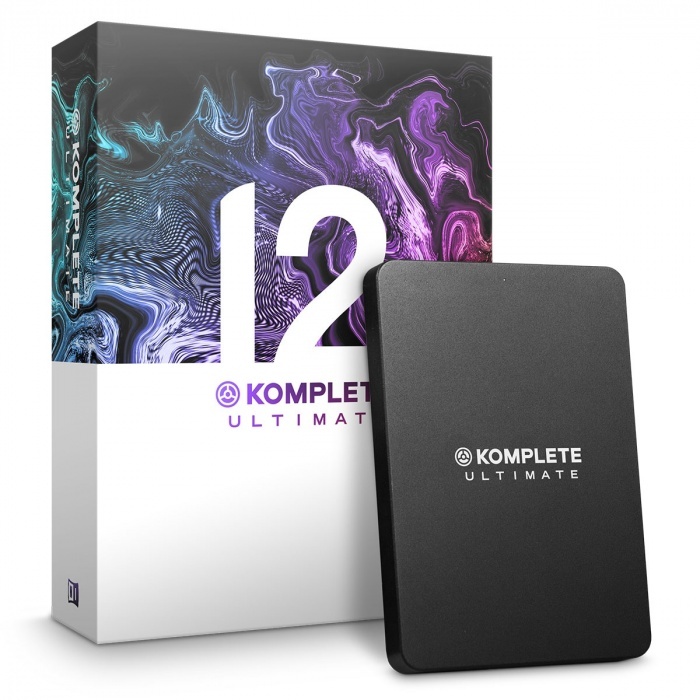 Now in its 12th Generation, the Komplete offering just gets bigger and better with every new release. It's easy to see why so many professional composers and producers see Komplete as the obvious option. The Ultimate package gives you a vast library of instruments and effects, enabling you to create the music you want, exactly the way you want it. Compared to Komplete Standard, you get more of everything! More synth instruments, more drums and percussion, more acoustic pianos, more studio effects. However, the main pull of the Ultimate bundle is the sheer scope and variety of tones, textures and timbres that are on offer. The World instruments section is much bigger and includes a whole balinese gamelan and Cuban instrument collection. The Orchestral element is also much bigger, including more in-depth "pro" versions of the Session Strings and Session Horns, plus a symphony essentials collection that's brand new to Komplete Ultimate 12. There's also a wider range of Creative cinematic instruments effects to make other worldly textures and pads to add depth and emotion to your music. This includes Damage so that you can create epic percussion tracks and Evolve which gives you rich textures for classic CSI suspense or a booming bass.